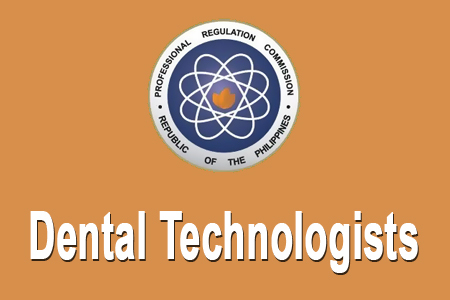 The Professional Regulation Commission released the much awaited exam results of the Dental Technologist Licensure Examination given by the Board of Dentistry in Manila this December 2014. Dr. Dominador H. Santos Jr., Chairman; Dr. Gloria M. Bumanlag, Dr. Steve Mark G. Gan, Dr. Melinda L. Garcia and Dr. Rannier F. Reyes, Members, are the members of the Board of Dentistry who gave the Dental Tech licensure examination. PRC released the results in two (2) working days after the last day of examination. In addition to this, the date and venue for the oathtaking ceremony of the new successful examinees in the said examination WILL BE ANNOUNCED LATER. Comments or suggestions about "December 2014 Dental Technologist Board Exam Results Released by PRC" is important to us, you may share it by using the comment box below.